Internationalized domain name is a domain name that contains non-ASCII characters. 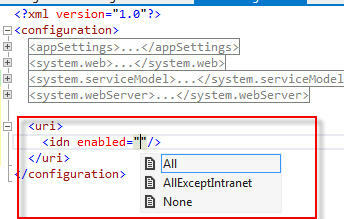 Now WCF 4.5 support the IDN. Means ? Note:This setting is not required to be configured for Windows 8 and newer versions.